Writing that title just feels weird. I’m sure a lot of people are going to wonder if this post is click bait. And honestly, I’m sure that there are some of you that are just nosey enough to click on this post. But hey, I’d be clicking on it too. You know, over the years, I’ve learned that we all love gossip. Whether we like to admit it or not we just love it. And that’s okay! We’re just curious people. I love to get to know people’s lives. I will watch YouTube video after YouTube video of people just talking. Chit Chat GRWM videos are my jam. And I can’t explain why. Other than I just love the people behind the brand. I love the content they provide, I love the work that they do, and then I want to know every little detail about their lives. Maybe it’s just me. But that’s the way I work. Anyway. I’ve been trying to incorporate more of me into what I do. With my Instagram stories, it’s less about actual tips then it is about me and my thoughts. My YouTube videos were intended to be informative but I tend to notice that I love shooting chatty videos. And with my blog posts, I get bored with writing top tip posts. I know that lists perform well on Pinterest, but if I don’t find it exciting then what’s the point?! You see, when I started this blog, my plan was to write only about content. That’s part of the reason why I came up with the name “The Content Bug”. I knew that it would improve my SEO if I included content in the name. But since then, this website has dramatically changed. 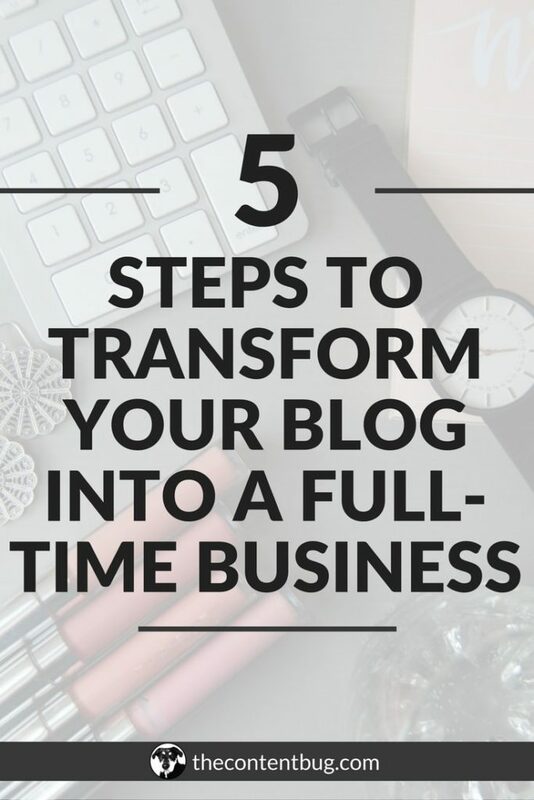 I first transitioned into talking about social media, SEO, and blogging. But then I started my Create Your Success Online series to talk about other topics that go into the online world. Like the mindset game and really knowing yourself. But all along the way, I’ve tried to incorporate my personal experiences. I’ve written about how I grew my Instagram account and my Pinterest account. I’ve written about how much money I’ve made with my blog and several of my personal struggles with growing a blog. And the major thing that I’ve learned about those posts is that they perform the best. I mean my blog post about how I grew my Pinterest from 7k to 100k is still my top performing blog post almost a year later. But even with all those blog posts, I feel like I’m not doing enough to really get my message across. To really live up to my purpose. Now to you that might sound crazy. You may see me hustle my booty off on a regular basis. I mean I just launched 2 paid products in 1 month! Crazy, right? I agree. It’s crazy. And although I love both of those products, my favorite part about creating them was getting got know you. To hear your stories and to understand where you are coming from. You see, when I started this blog, I was in a terrible place. I didn’t just hate myself. I hated EVERYTHING! I mean I projected my hate onto everything. I had a pretty nice job where I could work wherever I wanted. I made decent money. And I had a boss that was pretty awesome and actually cared about me. But you know what I thought… I thought I hated my job. Heck, I thought I hated my boss. What I hated was myself. I hated the way that I was so negative. I hated my body, my mind, and everything that I thought I was. Most importantly, I hated that I had no idea who I actually was. For the longest time, I just tried to be everyone else. I copied the personalities of my friends and family so that I would be accepted by them. But I never took the moment to ask myself if I accepted who I was. So I projected my hate onto everything else. And as a way to take back control of my life, I thought that I would start a blog to escape having to work for someone else. I’m so beyond grateful for this blog. Without this blog, I wouldn’t be where I am today. I wouldn’t be sitting in my office on the verge of tears as I look at the space around me. I have an iMac, essential oils defusing, a money tree on my desk, a silly frog doing yoga, and a wall full of cameras. I mean this is my dream office and I have it at the age of 24. I’m beyond grateful. I don’t even think ‘grateful’ does my emotions justice right now. But it’s all because of this blog. 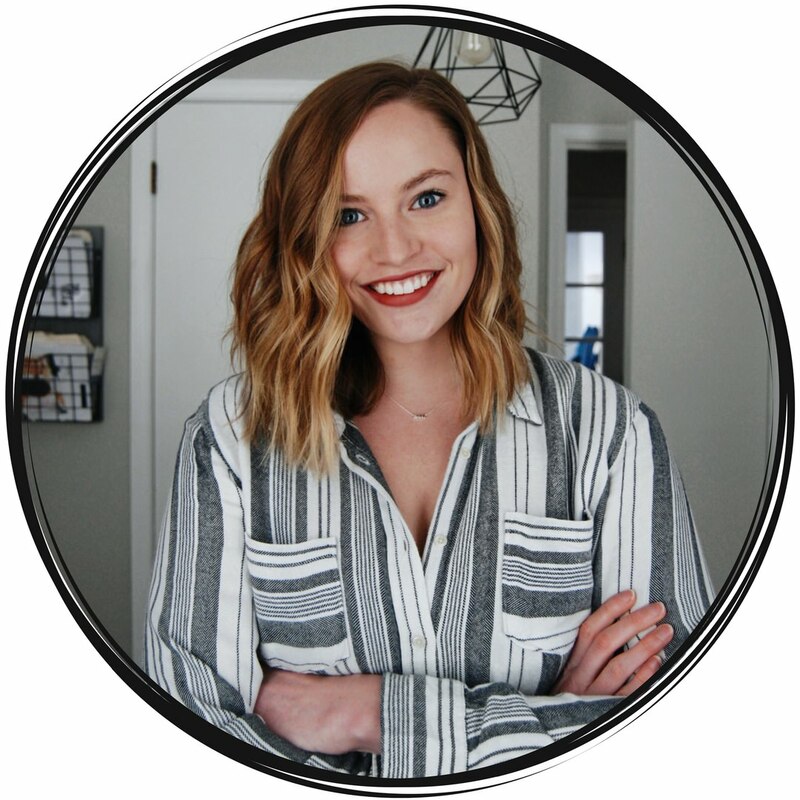 You know within 10 months of launching it, I was able to take my blogging business full-time. I was able to become my own boss. That’s something not a lot of people can say. Yet I’m sitting here typing it out. That’s just beyond crazy. But since I started this blog, a lot has changed. I thought I knew my purpose. I thought I was supposed to help people feel comfortable being themselves and chase their passions no matter what anyone else says. You know, I thought that was my purpose. But over the past few weeks, I’ve come to realize that my purpose is just slightly different. It’s actually to accept myself and my divine purpose and find peace in helping others do the same. That’s the first time I’ve shared it with anyone but Alex. But there it is. I’m sure you’re looking at those 2 statements thinking that they are just about the same thing. Because honestly, they are. But when I look at my blog and what I’m doing here, it just doesn’t make sense. I’m trying so hard to do everything right. 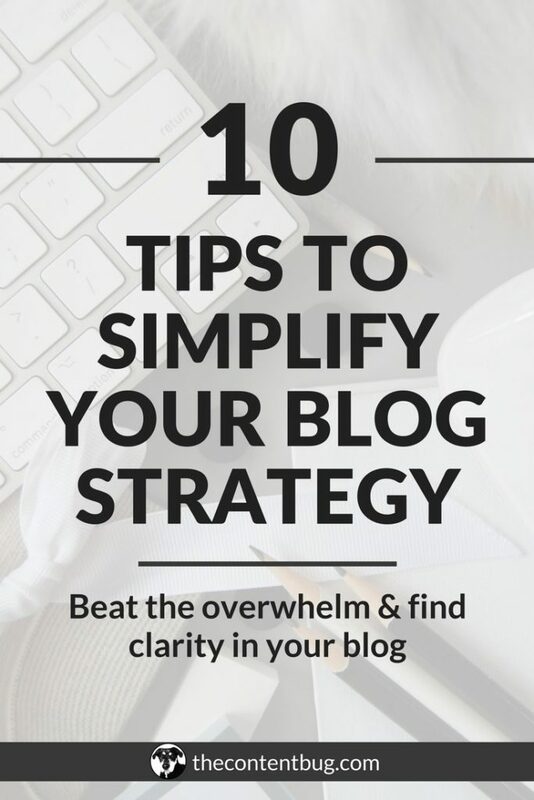 To write the right blog posts. To publish posts that are going to get shares and results for others. But I never really took into consideration that my purpose didn’t really align with all the blogging and social media tips that I’m sharing. 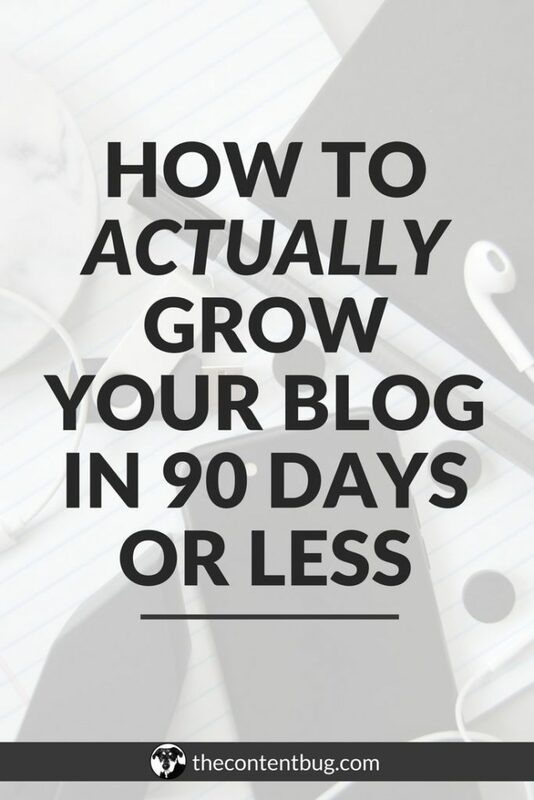 Sharing 10 times to grow your Pinterest account just doesn’t excite me. You can get that kind of content anywhere. What happens to those people that stumble across my website that were like me at one point? Miserable and desperately hoping to change their lives (and accept themselves) but don’t know where to get started. Where is the content for that person? A few months ago, I created the Create Your Success Online Series. And just starting that series gave me so much light. But after I noticed that it wasn’t getting that much traction, I went back to what I knew worked. Because it’s all about the numbers right?! Oh my goodness. If I could just go back and tell myself the things that are on my mind right now. April is the month of surrender for me. I’m not looking at my analytics. I’m just going with it and hoping for the best. And although it’s only been 9 days, it’s been an eye-opening experience. I’ve already learned so much. 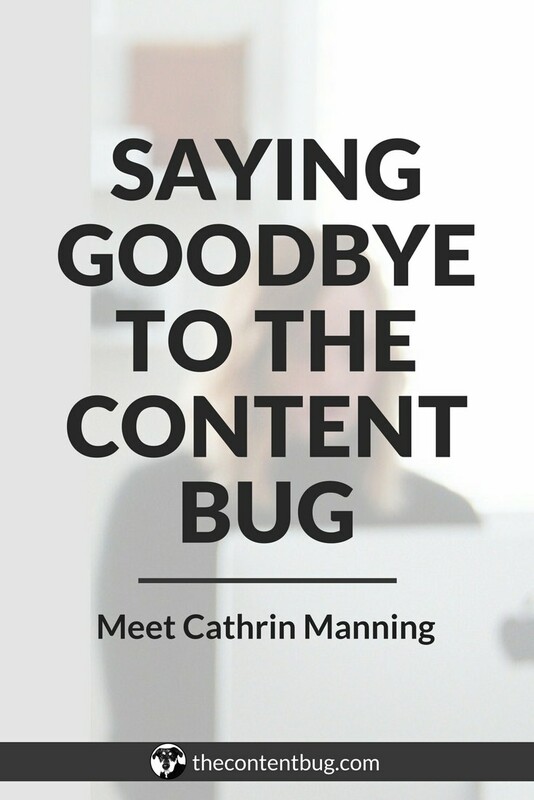 And because of it, I feel like I have to say goodbye to The Content Bug. Now it’s not what you think. I’m not shutting down this website. But instead, I’m rebranding it. I’m going to be sharing a whole lot more of me. I’m going to create blog posts about accepting who you are, loving yourself, uncovering your passion, and most importantly living for every day not just Friday. I’m excited about this change. I’m excited about the content that I’m going to create. But I think that I’m most excited to be able to impact more lives and live more in line with my purpose. Now what you can expect from me is a complete redesign of the website. I’m thinking about changing the theme for the first time since I launched the site. And if I don’t change the theme then the flow and home page are definitely going to be different. I’m going to be creating different content. Focusing on my YouTube channel and channeling my energy into really living my purpose. And that’s about it. Honestly, if I didn’t write this blog post you might not have noticed a change on the site for a long time. But now that you know it’s coming, you can witness the transformation! Now that I’m at the end of those post, it seems crazy that I just wrote all that. This whole blog post took me a matter of 30 minutes to get down. And although my mind is everywhere and my heart is pretty clear. And that’s all the matters. Thank you so much for loving and supporting me through everything The Content Bug has been through. I can’t wait to see where this relaunch takes us. I’m so proud of you for moving to brand YOU!!!! Cath, you are absolutely amazing! I love your energy and positivity. Thanks to you I believe I can do it too! Rebranding is a fabulous idea, your personality is already at the centre of your blog, why not making it official? Very well done! I love your website a lot so I am glad you are not shutting down this site! However, I am extremely happy you are doing this change!